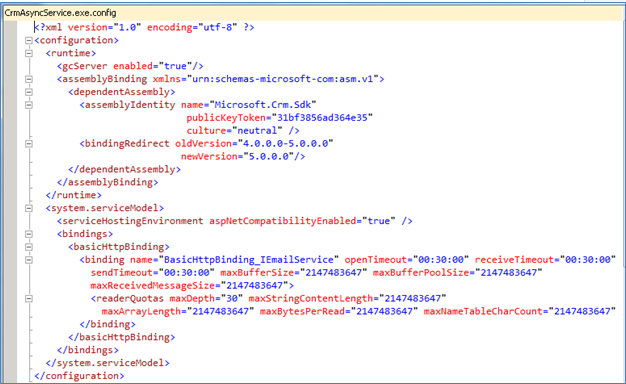 In one of my requirement I have to call my custom WCF service method from plug-in. In this scenario my plug-in is WCF client and I have to read client binding configuration from plug-in. Very interesting your node. But it doesn’t work for Iworkflow. And the file CrmAsyncService.exe.config, i created like you specify but nothing changes in my case, i’m unable to read servicemodel section from workflow trigger.